Leaf -8 pendant is composed four LED blades Each blade emits pyramid-shaped light. The hanging Blades turns into a beautiful landscape of reflects light from LED blades. 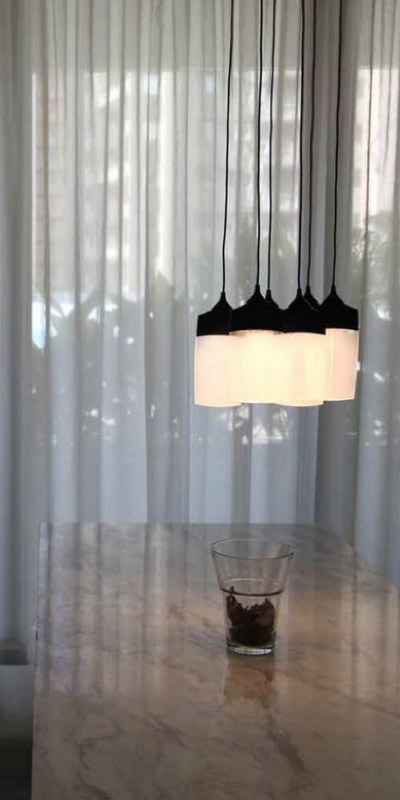 Each individual pendant varies in length and can easily be hung in various compositions, perfect for the dining room, the kitchen, as accent lighting or a partition.